Burn More Calories and Make Your Workout Worth It! Exercising with oxygen therapy (EWOT) can increase strength lines up to 20% and increase weight loss by an additional 20%. EWOT has been known to increase basic cellular life, making you feel 20 years younger! EWOT increases the amount of oxygen in your blood, plasma and tissues. This increased level of tissue oxygen has several beneficial effects. It has been used successfully for a multitude of conditions, including: heart failure, cardiomegaly, high blood pressure, wellness and anti-aging, emphysema and stress of all types. How Does EWOT Work? EWOT allows your body to get more oxygen during your workouts, this in turn gives your body more energy during your workout which can help you push yourself and burn more calories than ever before. Whole Body Vibration (WBV) offers a low-impact ways to increase strength, flexibility, and rejuvenate your body - in addition to increasing metabolism. WBV causes the muscles to experience an involuntary contraction at the same rate that the platform is vibrating. The mechanical stimulus produces a stretch reflex in 100% of your muscles. This means your muscles react to the vibration by contracting and relaxing automatically (like when the doctor hits your knee with a little hammer). It's a noninvasive workout that you don't have to change into workout clothes for! It's also a multifaceted tool that complements aerobic and strength training. It's simply a great tool for a healthy lifestyle! Reduces Cellulite: WBV causes increased local circulation to all areas of your body, in turn giving visible cellulite areas a "smoother" look. Reduces Varicose Veins: WBV causes increased lymph drainage, which lowers the pressure in varicose veins so the valves of the veins can close off. Increase Energy: WBV stimulates all cells in your body, increases blood flow and oxygen intake, and stimulates metabolism to help flush out toxins for a renewed vigor. Enhances Wellness: WBV increases blood flow, lymph drainage, oxygenated cells, the release of endorphins, and detoxification of the body. Enhances Detoxification: WBV works from the inside out - waste products are expelled at a cellular, lymphatic and excretion level. 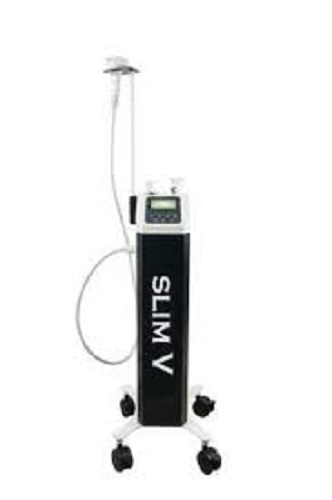 The SlimV device employs four technologies including Infrared, Bipolar RF, Vacuum, Massage mechanism. Infrared light(IR) heats the tissue up to 5mm depth. Bi-poar radio frequency(RF) heats tissue from 2 to 20mm depth. Vacuum + Massage mechanism accelerate blood circulation and increase blood flow, so as to drain thr excessive water and body waste. SlimV is the new aesthetic,non-surgical solution. This method is safe and efficient for the treatment of cellulite, using the revolutionary Elos technology that reduces the layers of fat, the body's circumference and textured skin. 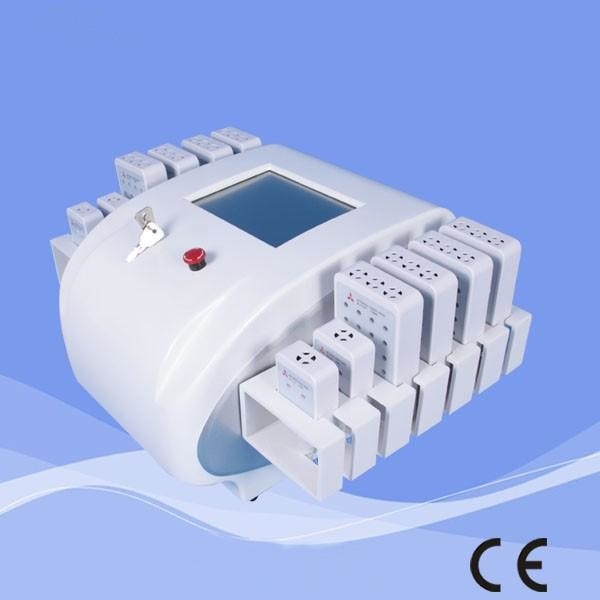 The combined power of Elos technoogy (bipolar radiofrequency and infrared light) with mechanical massage therapy increses the metabolism of accumulated fat,stimulates lymphatic drainage and reduce celluite.It is the ideal post pregnancy and post liposuction treatment since the conbined. SlimV techniques work against flaccidity and fat deposits,reshaping the treated area and restoring the skin's smoothness. Our LipoLaser utilizes low level cold laser technology for spot fat reduction, inch loss and body contouring in almost any area of the body. Low level lasers have been used for many years for the treatment of pain and inflammation to help reduce healing time. The LipoLaser is 100% noninvasive, with no known side effects The LipoLaser was designed to specifically target subcutaneous fat, reducing the appearance of cellulite, resulting in inch loss and body contouring. The LipoLaser was designed to specifically address spot fat reduction or inch loss and body contouring. It is administered in relaxing 20 minute sessions. There is no surgery or pain or extensive recovery time. Who is an Ideal LipoLaser Candidate? The LipoLaser is the ideal treatment for all body types when combined with a healthy diet and lifestyle. It works synergistically with the body's natural weight loss mechanisms. It specifically targets troublesome areas to remove inches. How Does a LipoLaser Work? The laser energy safely penetrates the skin targeting the fat cells (Subcutaneous layer). Once the cells are permeated, they release fatty acids, water and glycerol, or triglycerides. The triglycerides are released from the fat cells and the body uses them as an energy source. The fat cells then "shrink" significantly resulting in inch loss and the removal of cellulite. Where Can the Lipolaser Be Used? You can relax in a comfortable position while a LipoLaser technician secures the multi-diode paddles and EN probes to the target area. In 10 minute intervals, you are free to relax, read and listen to music. What Happens After a Treatment? You are free to resume normal activities immediately after each session-including exercise. Remember: LipoLaser is safe, noninvasive and you will experience no pain or side effects.